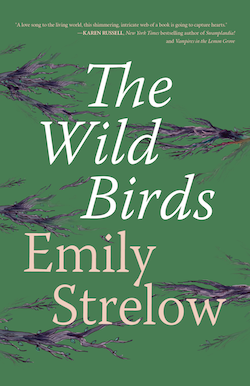 Happy to be Spotlighting Emily Strelow's DEBUT NOVEL, The Wild Birds! "The Wild Birds ranges over the Northwest and across decades, circling a diverse cast on the blind hunt for happiness. A lovesong to the living world, this shimmering, intricate web of a book is going to capture hearts." Continue below for a synopsis and about the author. The Wild Birds follows the stories of four different Westerners spanning over 100 years - from the 1870s to the 1990s. They are all connected by a silver collection of wild bird eggs and the novel weaves together their lives and their connection to nature. With lush descriptions of place, time and complex relationships, the well-researched narrative threads take the reader on a journey through their difficulties and redemption. It is ultimately a story of the interconnectivity of humans and their environment. In 1994, 15-year-old Lily lives on a hazelnut farm in Oregon’s Willamette Valley with her mother, who has a drinking problem, anger issues and a secret she’s keeping from Lily. The tension between the two builds until their bonds are truly tested. Back in 1941, runaway Victor scours the Sierras and Mojave for answers about who he is and where he belongs in the world. And in 1874, 16-year-old orphan Olive pretends to be a boy to gain employment as a lighthouse assistant on the Farallon Islands off the coast of San Francisco, where she encounters the “eggers” who harvest sea bird eggs there to fill the demand created by the gold rush. As the narratives weave, everything the characters believe will be tested against their knowledge of the natural world. The animal characters, in particular the birds, become as important as the humans to the purpose of the storytelling. Drawing on both science and mythology, and that liminal point where the two meet, the story brings all the elements together to a thrilling and profound end. Emily Strelow was born and raised in Oregon’s Willamette Valley but has lived all over the West and now, the Midwest. 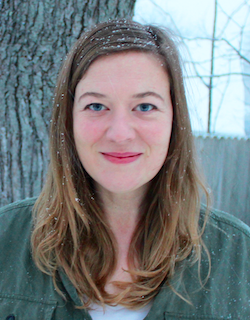 She has an MFA in Creative Writing from University of Washington in Seattle and an undergraduate degree in Environmental Science. For the last decade she combined teaching writing with doing seasonal avian field biology with her husband. While doing field jobs she camped and wrote in remote areas in the desert, mountains and by the ocean. She is a mother to two boys, a naturalist, and writer. The Wild Birds is her first novel.